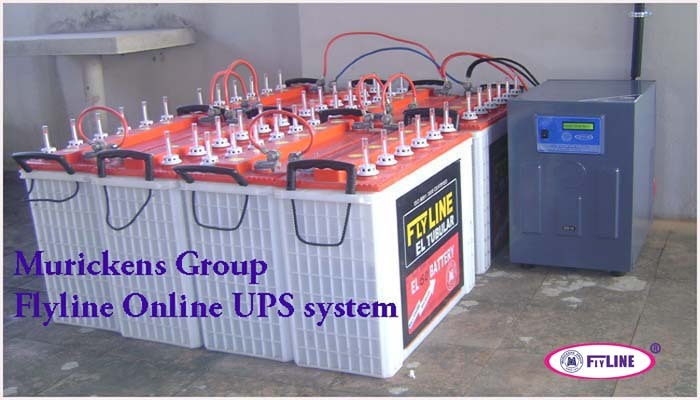 Muricken's Group expounds upon online Uninterrupted Power Supply (UPS) technology and its role in the wafting power quality problems in highly critical systems. Which is necessary for blood banks, color labs, laboratories and the place where uninterrupted power with sine wave and constant out put voltage is needed. ► Low power consumption. ► Audio and visual indicators. ► Low and high battery charging cutoff. ► By using recommended battery we get constant voltage output. ► Output-240V or 415V. ► Input voltage 180V to 390V. ► Fully automatic. ► Compact in size. ► Low maintenance Long durability. ► No of Batteries depend upon capacity.